You’ve given her hugs. You’ve given her Mother’s Day cards made from construction paper and signed in crayon. You sent her flowers and chocolates and took her out to brunch. This year, do something completely different to show mom how much you care. Nothing says, “I love you” like a Mother’s Day cardboard cutout. Whether you’re an adult looking for a unique way of celebrating the many, many years of love and attention that was given to you by your mother or a husband wanting to create a special day for your children and their mom, a cardboard cutout could be just the thing. Life size standees can be used to make mom happy and this Mother’s Day unique in so many different ways. You could greet your mom on Mother’s Day with a series of cutouts picturing her at various times of her life. Or give her standees of the children or grandchildren. 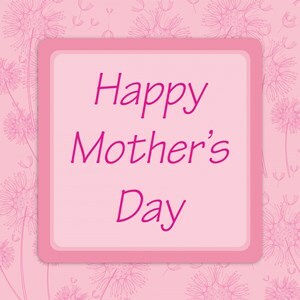 Family members who have been an important part of your mother’s life may be unable to visit on that special day. Perhaps they live too far away or are serving their country in the military. A Mother’s Day cardboard cutout will bring a smile to mom’s face, knowing everyone is remembering her, whether they can be present, or not. 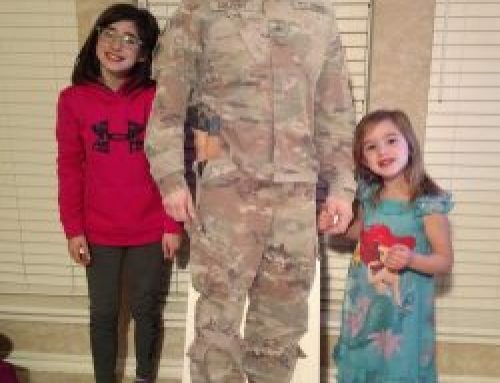 With life-size standees, children, grandkids, relatives, and friends from around the country or across the globe can all be there for the celebration. With our thought and speech bubbles, every standee can deliver its own personal message to mom. And these life-size cutouts are not just limited to replications of people. Pets, cartoon characters, anime, silhouettes, even cars, or trees can be turned into standees. Every mother has special objects she’s owned throughout her life or events that have a particular significance. Perhaps there was a flowerbed your parents planted together years ago, or your mom has always loved the first family car, a lamp, or a favorite pet. You may want to say thank you with a cutout of your mother when she was pregnant with you or of the wedding between your parents. The possibilities are endless. You can send us a group photo of your entire family. There is no limit to the number of people that we can put on a cutout! Just fit everyone in 47″ for a single panel. If your family extends beyond that we always can work with you on multi-panel standees. Though our maximum size for a single panel standee is 47 inches by 95 inches, multiples panels can be used to produce extra large cutouts, allowing us to make virtually any life-sized cutout. So, you can even give her that pet elephant she’s always wanted. If you’re having trouble finding the perfect photo for your life-size standee, we may be able to help. 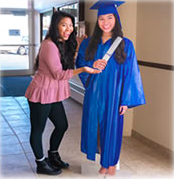 If the photo for your life-size cutout is cut off at the feet, knees, or legs, we can add the missing body parts to create a full size and full-bodied cutout. Does the person featured in the photo have his or her arm behind another person? If so, we can add the arm back into the image. Annoying shadows or flash spots can be removed. If the person in the photo is depicted holding, for instance, a washcloth, we can remove it and replace that part of the picture with a coffee cup, margarita glass, or other objects. Our skilled photo editors have an amazing number of tricks up their sleeves to fix your photos and produce the perfect life-size cutout. They can even do head swaps between images to produce a final cardboard cutout standee that will impress mom and everyone else at your gathering. When placing an order just make a note of how you would like your image edited and our trained professionals will do the rest. This just might be the year to surprise mom with that Mother’s Day cardboard cutout. Order your Cardboard Cutout today to get it by Mother’s Day!